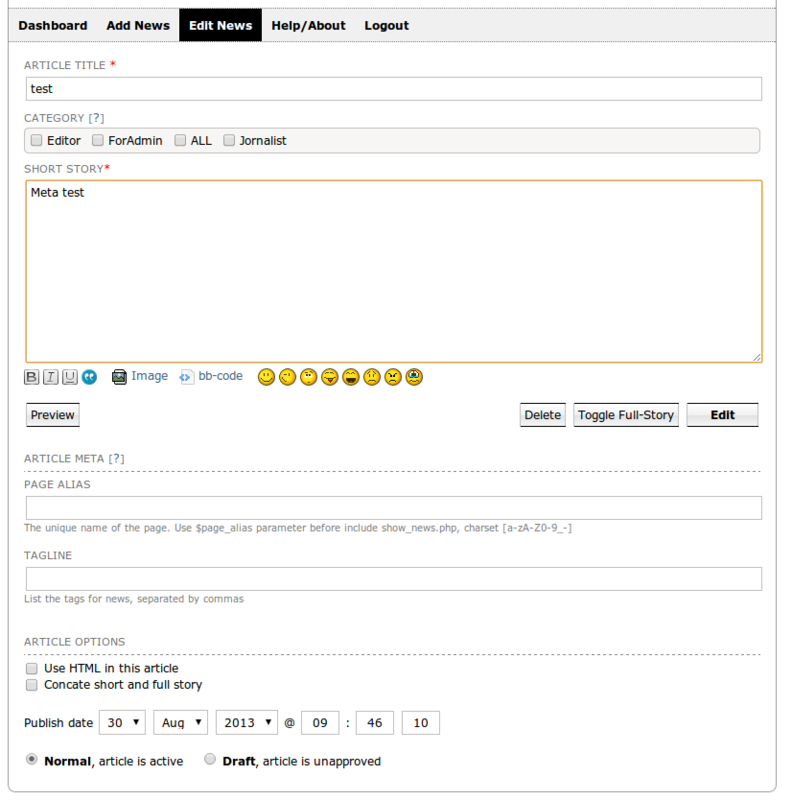 The Add-News panel with multiple options and WYSIWYG editor for easier submission of your content. 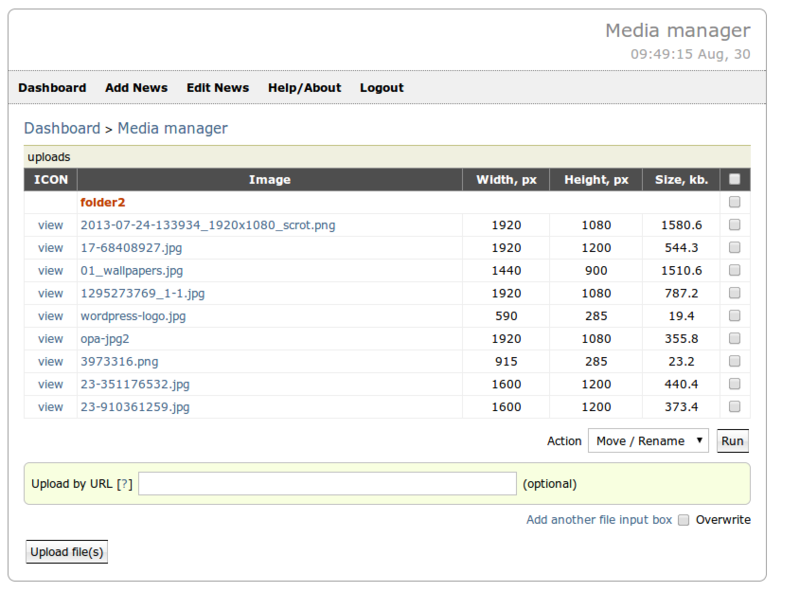 An example screenshot of the media manager. 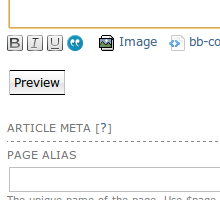 You get X-Field, which allows you to see first posts while adding and editing news items. 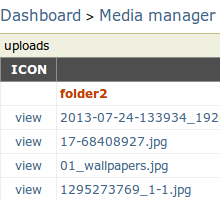 There's also PHP code error protection in news output, and back-end error logging. You can vote for news items and leave comments to them on Facebook. The whole installation process comprises just one step and goes very fast. Migration is also done in one quick step and can be accomplished without any effort on your part. A notable feature of the CuteNews engine is that it doesn't use MySQL to store news, comments, user profiles, or any other data. 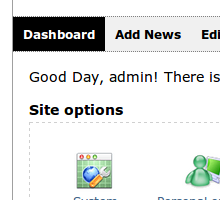 The CuteNews engine can be installed on practically any web server. Anyone can edit templates and use the embeddable code on their website: it's so simple that you don't even have to know anything about PHP programming. Enjoy writing and editing news for your website in CKEditor, a modern WYSIWYG (what you see is what you get) text editor built into CuteNews. The new developer-friendly and easy-to-use plug-ins system, which first made its appearance in 1.5.0, allows you to extend the basic feature set of CuteNews. CuteNews comes with captcha-based anti-spam protection as well as anti-flood protection and tools for banning unwanted IP addresses. 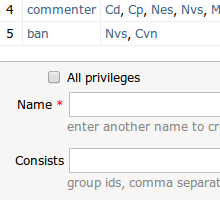 CuteNews allows for different types of users with different permission levels: Administrator, Editor, Journalist, Commenter. Each of these types of users has access to different features on a CuteNews-driven website. 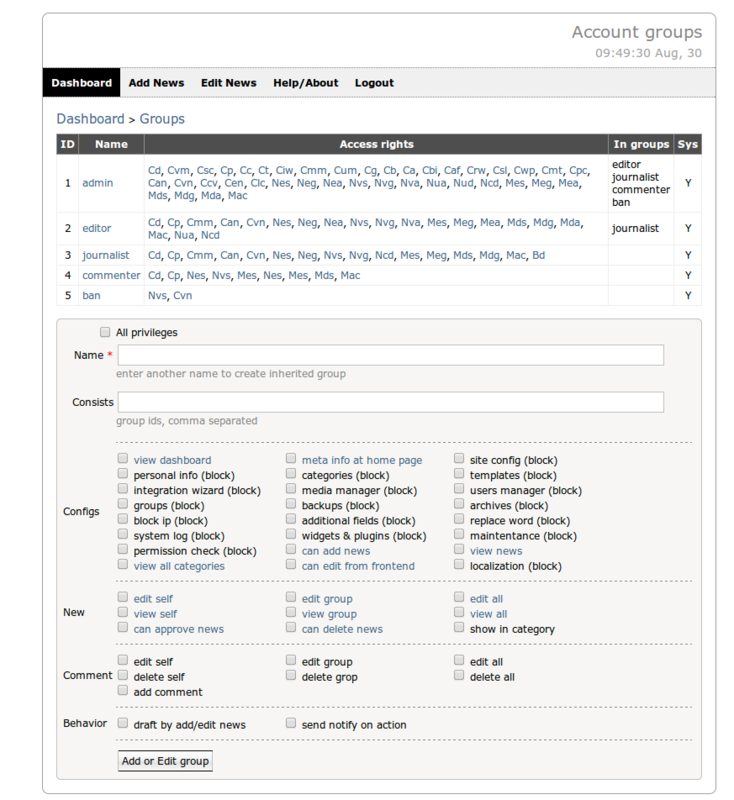 Users can search for intended info using a dedicated search form. Conducted searches are based on the full-text search algorithms with ranking. You don't have to worry about creating news items: CuteNews does everything automatically. It is also capable of archiving old news items and activating postponed ones on its own.